Coedmor Barn, With Stunning Views. Property 11: Coedmor Barn, With Stunning Views. 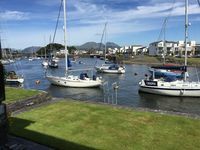 Large Terraced House In Porthmadog with central heating and internet. Property 12: Large Terraced House In Porthmadog with central heating and internet. July bargains available - ask for details. Super seafront house. Pet-friendly. Property 16: July bargains available - ask for details. Super seafront house. Pet-friendly. Luxury cottage retreat in Snowdonia with excellent reviews and recommendations. Property 17: Luxury cottage retreat in Snowdonia with excellent reviews and recommendations. Large warm modern Harlech house With Sun Terrace above Harlech Castle itself. Property 31: Large warm modern Harlech house With Sun Terrace above Harlech Castle itself. Absolutely fab! The whole family loved staying at the bungalow. Relaxing &amp; clean. Garden was beautiful &amp; hot tub superb. Great location to visit places like the beach, blue lake, Snowdonia and Barmouth beach. Thanks for the Prosecco much appreciated. 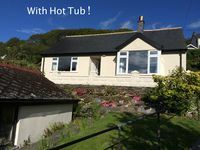 Excellent location , well equipped , great to join the coastal path or walk into the town within minutes .Some lovely pubs locally with good food .